Not sure why I was compelled to order this when I really just wanted a root beer float, but once I clarified that this was, in fact, not a foot-long, I was game. Because look, Fritos with chili and cheese is a good combination. 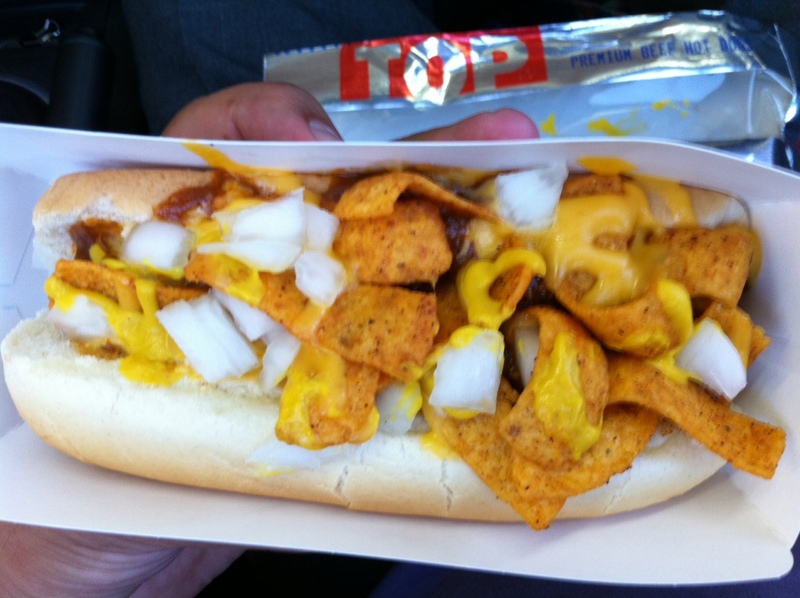 On a mediocre-at-best Sonic hot dog, still pretty good. There are diced onions and mustard on this baby, but the magic that makes it special is recognizing these are chili cheese-flavored Fritos. So, yeah. It's meaty and crunchy and salty and chili-y, so it's enjoyable on a very primal level.